Tourism is undergoing major changes in the advent of social media networks and other forms of digital technology. This has affected a number of tourism related processes including marketing, destination making, travel experiences and visitor feedback but also various tourism subsectors, like hospitality, transportation and tour operators. An already substantial and growing body of research has investigated these developments, both regarding tourism processes (Munar 2011, Tham et. al. 2013, Mkono & Tribe, 2017) and industry subsectors (Leung et al. 2013, Germann Molz 2012, Gretzel & Fesenmaier 2009, Hvass & Munar, 2012). However, largely overlooked are the effects of these changes on questions concerning inequality. Therefore, the aim of this SI is to chart this relatively unexplored territory concerning the influence of technologically enhanced travel and tourism on development and inequality. In the wake of the digital revolution and its emerging possibilities, early debates in tourism studies have been dominated by a belief that new technologies are able to overcome or at least reduce inequality. Concepts such as the digital divide understand these technologies as tools, suggesting it is only a question of access while neglecting the effects and affordances of specific technologies as well as their production context (Minghetti/Buhalis 2009). Rather recently, as a critical attitude towards digital (media) technologies is growing on a more general level, also tourism studies has begun to discuss topics such as new visibilities and readabilities, with particular apps allowing visitors to access information, transport and hospitality services around the world (Jeacle/Carter 2011, Orlikowski/Scott 2014, Baka 2015). These tendencies, arguably, have emancipatory potential, inter alia by increasing the visibility of neglected groups, neighborhoods or areas, by lowering barriers of entry into tourism service provision for low-income groups or by democratizing the designation what is considered valuable heritage (Fang/Ye/Law 2016, Steinbrink et al 2014, Cheng 2016). They also, however, may have homogenizing effects, for example by subjecting formerly excluded spaces to global regimes of real estate speculation or by undermining existing labour market regimes and standards in the transport and hospitality industries (Martin 2016). These latter effects have played a part in triggering anti-tourism protests in a range of cities across the world (Colomb/Novy 2016) and fostered a debate on the connections between tourism and gentrification (Gravari-Barbas/Guinand 2017, Wachsmuth/Weisler 2018). Authors should adhere to Tourism Geographies author guidelines. Email abstracts to the SI editors, quoting “TG Special Issue – Digital Tourism and Inequality” in the subject panel. Questions about the Special Issue may be addressed to any of the three guest editors. All papers will undergo a double-blind review process by TG, after an initial review by the SI editors. Firstly, to date, much research on new digital technologies is focused primarily on technological innovation, leaving underexplored spatial questions such as distribution of wealth, shaping of spaces and experiences, and the effects of representation. Secondly, while there is a lot of research emerging on travel and tourism and digital technologies, and while a substantial body of work is concerned with tourism and inequality, rarely are the linkages explored between digital technology, mobility and inequality. Thirdly, the special issue allows for an examination of the controversial role of digital technologies in constituting, re-configuring, representing, commodifying, protesting and alleviating poverty. We invite contributions that analyze platform economy companies such as Airbnb, TripAdvisor or Uber with regards to urban transformation, neighborhood development, inequality and social justice. We also welcome papers that investigate a wide range of social media relating to the representation and reproduction of livelihoods and struggles. Methodologically we hope to attract applications of new tools for research, by working with big data analysis, netnographic approaches, but also more conventional qualitative research methods. Conceptually, the SI is open for a range of perspectives to study tourism geography, by linking organization and business studies with geography, sociology, and media studies expertise. Abstract proposals are due 10 October 2018. 2020 - Possible Publication date. Note that articles will appear online as they are accepted. Baka, V. (2015): Understanding Valuing Devices in Tourism through ‘Place-making’. Valuation Studies, 3(2), 149-180. Cheng, M. (2016): Sharing economy: A review and agenda for future research. International Journal of Hospitality Management, 57, 60–70. Colomb, C. & Novy, J. (2016): Protest and Resistance in the Tourist City. London and New York: Routledge. Fang, B., Ye, Q., & Law, R. (2016): Effect of sharing economy on tourism industry employment. Annals of Tourism Research, 57, 264–267. Germann Molz, J. (2012) Travel Connections: Tourism, Technology and Togetherness in a Mobile World. London: Routledge. Gravari-Barbas, M. & Guinand, S. (2017): Tourism and Gentrification in Contemporary Metropolises: International Perspectives. London/New York: Routledge. Gretzel, U. & Fesenmaier, D. R. (2009): Information technology: shaping the past, present and future of tourism. In: Jamal, T. & Robinson, M. (Eds. ): The SAGE Handbook of Tourism Studies, Thousand Oaks: Sage, 558-580. Hvass, K. A. & Munar, A. M. (2012): The takeoff of social media in tourism. Journal of Vacation Marketing, 18(2), 93-103. Jeacle, I. & Carter, C. (2011): In TripAdvisor we trust: Rankings, calculative regimes and abstract systems. Accounting, Organizations and Society, 36(4-5), 293-309. Lee, D. (2016): How Airbnb Short-Term Rentals Exacerbate Los Angeles’ Affordable Housing Crisis: Analysis and Policy Recommendations. Harvard Law & Policy Review, 10(1), 229-255. Leung, D., Law, R., Van Hoof, H., & Buhalis, D. (2013). Social media in tourism and hospitality: A literature review. Journal of Travel & Tourism Marketing, 30(1/2), 3–22. Martin, C. J. (2016): The sharing economy: A pathway to sustainability or a nightmarish form of neoliberal capitalism? Ecological Economics, 121, 149–159. Minghetti, V. & Buhalis, D. (2009): Digital Divide in Tourism. Journal of Travel Research, 49(3), 267-281. Mkono, M. & Tribe, J. (2017): Beyond Reviewing: Uncovering the Multiple Roles of Tourism Social Media Users. Journal of Travel Research, 56(3), 287-298. Munar, A. M. (2011): Tourist-created content: rethinking destination branding. International Journal of Culture, Tourism and Hospitality Research, 5(3), 291-305. Orlikowski, W. & Scott, S. (2014): What Happens When Evaluation Goes Online? Exploring Apparatuses of Valuation in the Travel Sector. Organization Science, 25(3), 868-891. 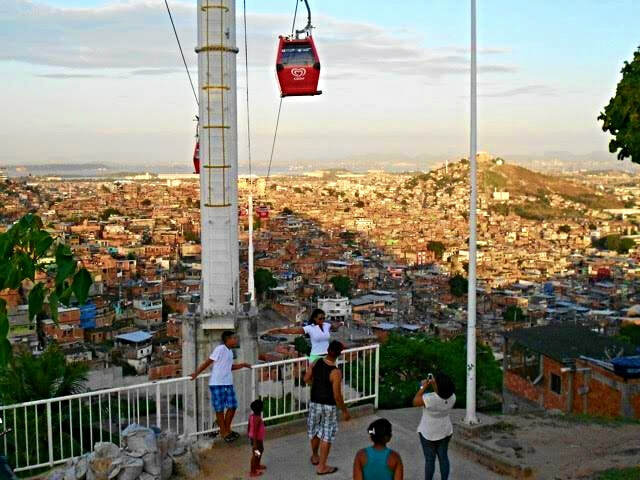 Steinbrink, M. (2014): Festifavelisation: mega-events, slums and strategic city-staging – the example of Rio de Janeiro. Die Erde, 144(2), 129-145. Tham, A., Croy, G. & Mair, J. (2013): Social Media in Destination Choice: Distinctive Electronic Word-of-Mouth Dimensions. Journal of Travel & Tourism Marketing, 30(1-2), 144-155.